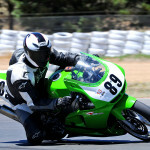 Back in 2004 I had a 1998 ZX9R that went pretty well, but on a ride down to Kangaroo Valley it started having problems dropping out of gear. 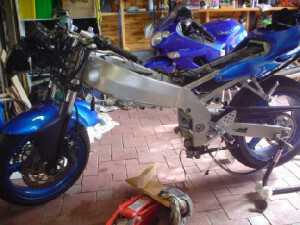 This is the process I went through to fix it up. 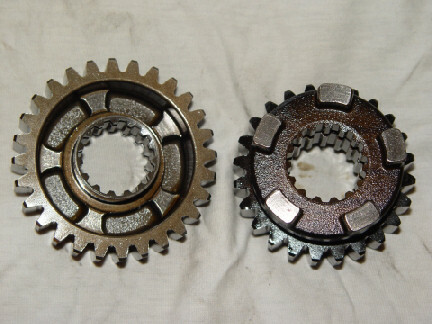 When 3rd gear was engaged and power applied, it would slip in and out of gear with a sudden jerk. 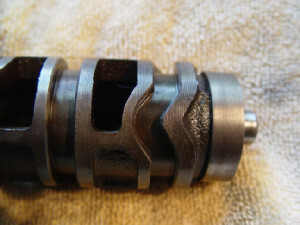 When changing up and holding selector it would still do it, however changing down and holding selector would stop it. 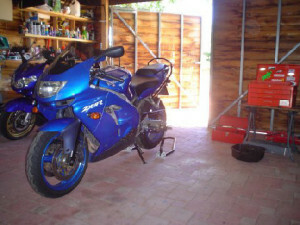 A bit of searching around some of the forums shows that the C1 (98/99) ZX9R was prone to this exact problem. 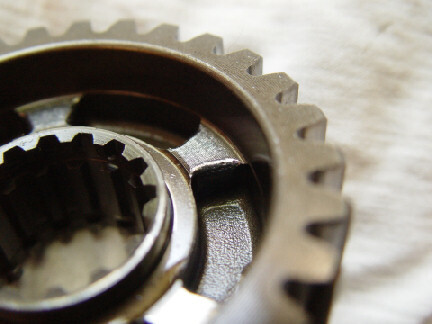 Basically the 3rd gear engages with the dogs on the 5th gear on the output shaft by only a few millimetres. As the circlips and washers wear, you get some movement, enough to allow the dogs to disengage. Combine this with some missed shifts and the dogs get worn enough that they start to slip and from there the problem only gets worse. 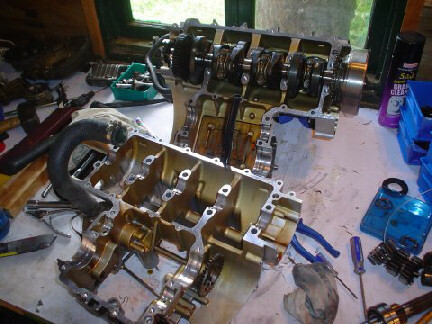 So the engine had to come out and the crankcase had to be split. I won’t go into the details of how to do this, the best thing to do is to get a hold of a workshop manual which will describe every step and how to do it. -Missing Positive Neutral Finder ball. 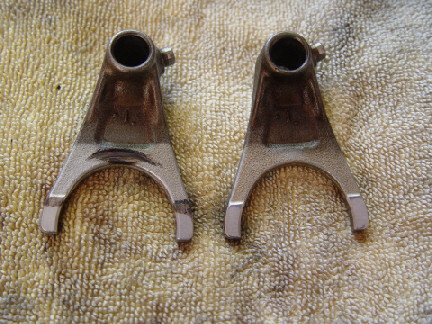 These are located in slots in the selector fork groove on the 5th gear. There are normally three, one of mine was missing. 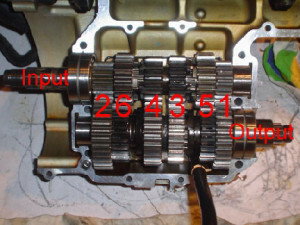 -Dogs on 3rd gear on input shaft appeared to be worn. 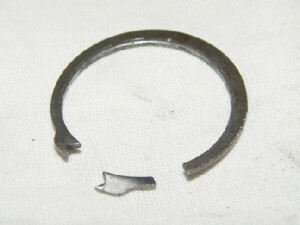 I also found the end of a broken circlip in the sump. 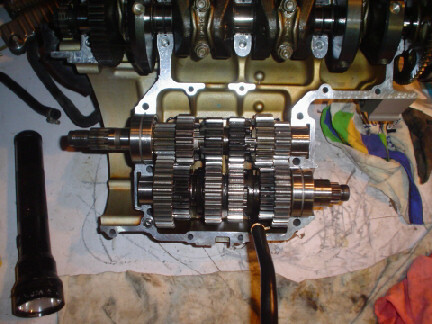 -Pulling the two shafts out made it easier to see that the dogs on the output shaft 5th gear that engage with the inside of the 3rd gear were worn, as were spokes of the 3rd gear that they engage with. 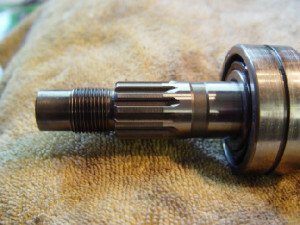 -The selector fork that moves the 5th gear on the output shaft had wear marks on it too. 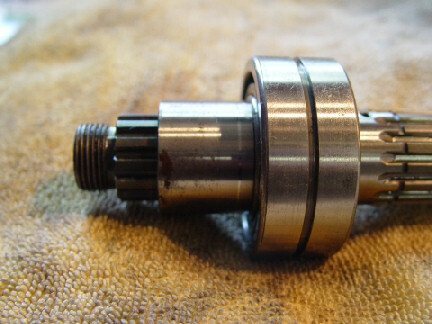 -The broken circlip came from the other end of the output shaft and held 2nd gear in place. -I can source new parts to replace the ones that need replacing, which worked out at around $750. 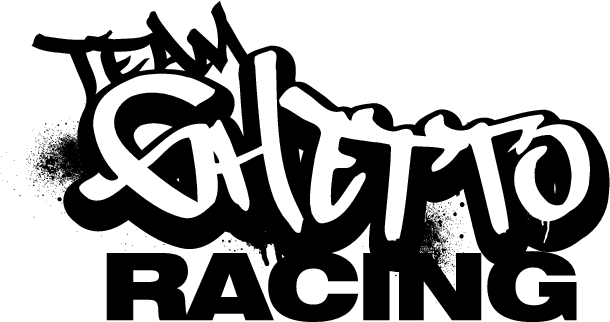 -I can source a second hand box for $550, plus around $80 in clips and seals etc. I decided to go the second had box route, however the first one I was sent looked a bit average. The second one the wrecker sent turned out to be a blessing in disguise, although it was labelled as being a C series box, it was actually from an E series bike. This had it’s good and bad points. On the upside the gear dogs are better designed in that they are rounded and undercut, and they were in much better nick than my old ones. On the downside the two shafts are not a straight swap. 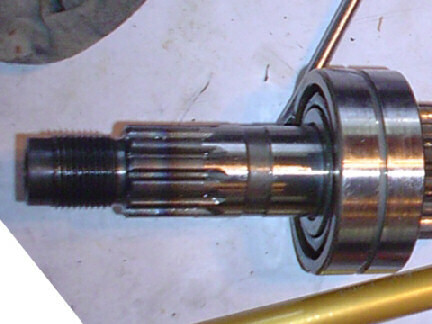 The E series input shaft is longer at the clutch end, which would require a new clutch lifter. 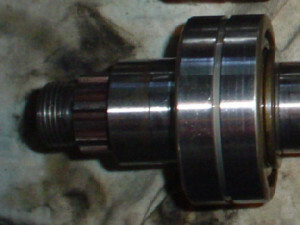 The output shaft is approx. 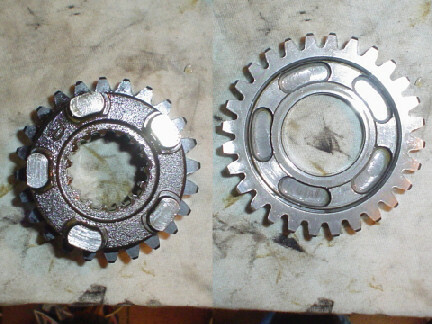 3mm longer at the front sprocket end, which would offset the front sprocket, so I would have to offset the rear sprocket to match. I would also have to get a new front sprocket cover, or find a way of sitting it 3mm further out. I also couldn’t actually find anyone who had done this conversion, so I had no idea whether it would work or not. This left me with the option of moving all the cogs across to my input and output shaft, along with a new set of circlips. This seemed like a good idea, but there were a few obstacles. 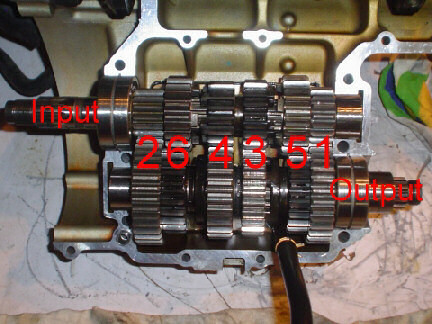 Like the splined washers they put between the 3rd and 4th on the newer box that lock together are designed to be offset so the larger one can lock into a groove on the output shaft, which the earlier model shaft didn’t have. 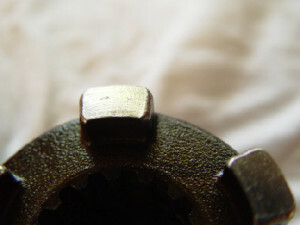 Taking the locking bits off one of the washers with the bench grinder fixed that one, and it all fitted in nicely. The only other hassle was the input shaft has an extra circlip and washer on it and a different cog for 2nd to suit, so I had to keep my original, which is in good nick anyway. I also noticed that the selector drum has a slightly different profile to the grooves where it pulls some of the gears out before putting them back in again, so I went with the newer one for that as well. Everything went back together and ran fine. The gearbox felt more “positive” when changing gears, and the positive neutral finder worked better. Another bonus was that I smoothed out the little grooves that had been worn into the splines of the clutch basket etc. so the clutch worked much better too.